Home News Rev Chris Okotie's letter to Adams Oshiomhole and Uche Secondus, as he plans to run for President. Rev Chris Okotie's letter to Adams Oshiomhole and Uche Secondus, as he plans to run for President. 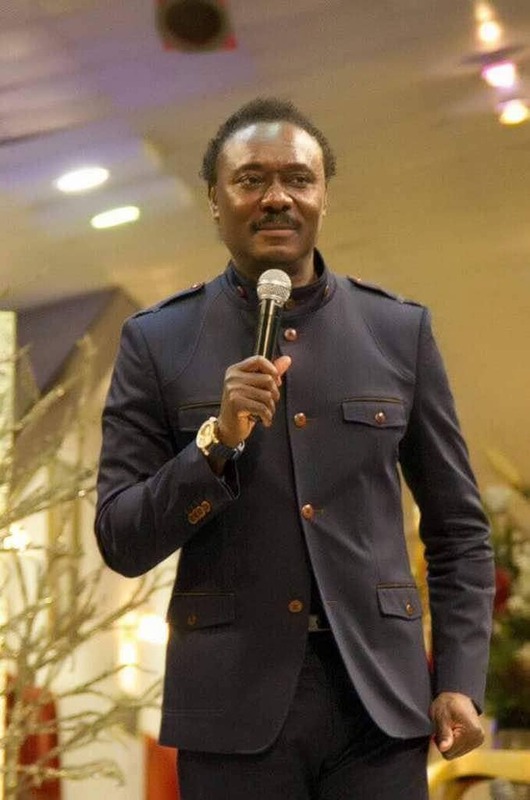 The Pastor of HouseHold of God's Church, Rev Chris Okotie has offered to Head The Interim National Government, as he officially writes to Comrade Adams Oshiomhole and Prince Uche Secondus of APC and PDP respectively. Rev Chris Okotie has decided to run for Presidency position of the Republic of Nigeria as the head of Interim National Government. He made this known in his letter to the Chairmen of APC and PDP seeking a common ground between both parties to create a philosophy that best describes Nigeria as a nation with one common goal. PROPOSITION FOR SUPPORT FOR GOVERNMENT OF NATIONAL RECONCILIATION AND RECONSTRUCTIONI felicitate with you on your recent election as National Chairman of the All Progressives Congress (APC). Promotion comes from God and man’s vertical acceleration through the echelons is but a token of the benignant superintendence of divinity.As we approach another election cycle, the prognosis for a national crisis coveys a reality of frightening proportions. We are confronted by existential threats that seek to engender the fragmentation and disintegration of our nation as a holistic entity. Nigeria has become a divided and segregated society like never before. We have become polarized by ethnicity; we have become balkanized by religious fundamentalism. We have become fractured by political insensitivity and leadership disability.The advent of the Boko Haram insurgents and the ubiquitous Fulani herdsmen phenomenon have further exacerbated social insecurity and cast nebulous clouds over the viability of our union. The concentric arrangements of the WAZOBIA alliances have been a disaster; engendering the marginalization of the smaller ethnic units, thus, perforating the canopy of the Federalism under whose aegis we co-exist.The dream of a great Nigeria which flowered at Independence, the yearnings and aspirations of the people and the Nigerian brotherhood whose ensign dominated the political horizon at Independence have all been consigned to oblivion. The worrisome symptoms indicative of the restiveness signalling the preamble to the Civil War of the past have re-emerged in more definite configuration and now form a circadian rhythm which must be addressed immediately. We must act now to avert the manifestation of the great inevitable.Times like these require the recruitment of patriotic gladiators who must now take up the gauntlet to defend the Nigerian dream. I believe we are conditioned by our circumstances to rise to the occasion of our reality.Please permit me to reminisce, for a moment, in Romanic antiquity. There were incessant wars between Rome and Carthage in those days. In one of such military campaigns, the Roman General Regulus was captured and taken to Carthage. He was brought before the ruling council and promised liberty if he would return to Rome and persuade the Romans to enter into a peace treaty with Carthage. The people of Carthage were war weary and envisaged that this strategy would provide a tactical leverage to negotiate a cease-fire with Rome. However, there was a proviso that if General Regulus was unable to do so, he was to return to Carthage to face execution. The General agreed and was set free based on the integrity of his word as a Roman. Prince Uche Secondus The National Chairman,Peoples Democratic Party (PDP)National Secretariat,Plot 1970 Michael Okpara Street,Wuse Zone 5,Abuja, Nigeria. PROPOSITION FOR SUPPORT FOR GOVERNMENT OF NATIONAL RECONCILIATION AND RECONSTRUCTIONI send auspicious greetings and salutations and hope that this missive meets your personage in fine fettle.As we approach another election cycle, the prognosis for a national crisis coveys a reality of frightening proportions. We are confronted by existential threats that seek to engender the fragmentation and disintegration of our nation as a holistic entity. Nigeria has become a divided and segregated society like never before. We have become polarized by ethnicity; we have become balkanized by religious fundamentalism. We have become fractured by political insensitivity and leadership disability.The advent of the Boko Haram insurgents and the ubiquitous Fulani herdsmen phenomenon have further exacerbated social insecurity and cast nebulous clouds over the viability of our union. The concentric arrangements of the WAZOBIA alliances have been a disaster; engendering the marginalization of the smaller ethnic units, thus, perforating the canopy of the Federalism under whose aegis we co-exist.The dream of a great Nigeria which flowered at Independence, the yearnings and aspirations of the people and the Nigerian brotherhood whose ensign dominated the political horizon at Independence have all been consigned to oblivion. The worrisome symptoms indicative of the restiveness signalling the preamble to the Civil War of the past have re-emerged in more definite configuration and now form a circadian rhythm which must be addressed immediately. We must act now to avert the manifestation of the great inevitable.Times like these require the recruitment of patriotic gladiators who must now take up the gauntlet to defend the Nigerian dream. I believe we are conditioned by our circumstances to rise to the occasion of our reality.Please permit me to reminisce, for a moment, in Romanic antiquity. There were incessant wars between Rome and Carthage in those days. In one of such military campaigns, the Roman General Regulus was captured and taken to Carthage. He was brought before the ruling council and promised liberty if he would return to Rome and persuade the Romans to enter into a peace treaty with Carthage. The people of Carthage were war weary and envisaged that this strategy would provide a tactical leverage to negotiate a cease-fire with Rome. However, there was a proviso that if General Regulus was unable to do so, he was to return to Carthage to face execution. The General agreed and was set free based on the integrity of his word as a Roman.